The custom made kitchen has captured the mood of this contemporary Arts and Crafts property. The innovative door style is a cross between traditional and modern. The kitchen uses a traditional detail in a modern day context. 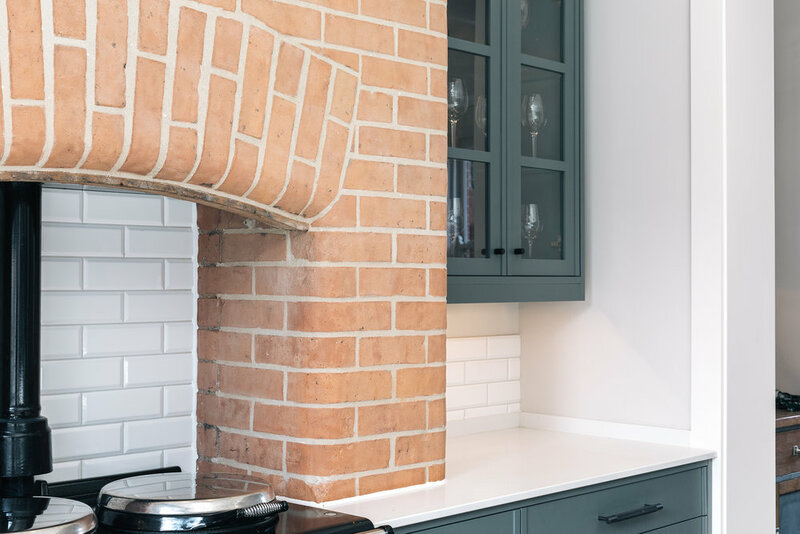 Good use has been made of the existing exposed brick arch to add colour and a rustic texture to the design. 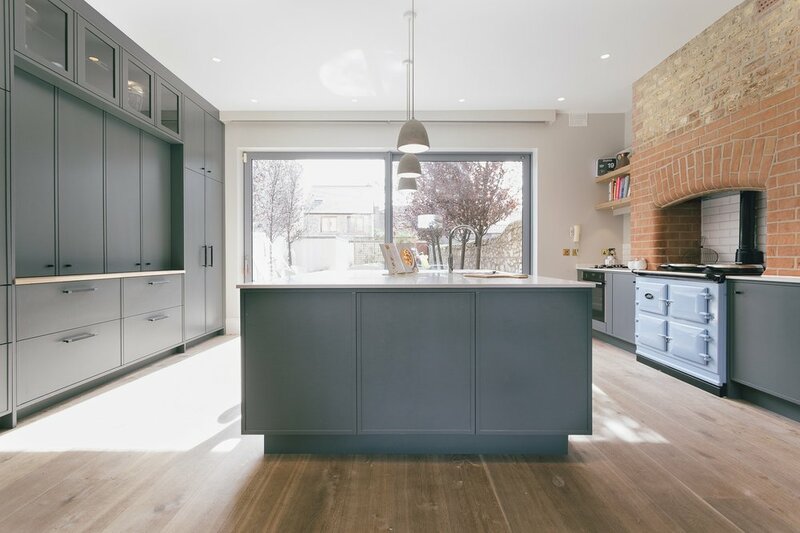 The kitchen links two parts of the house effortlessly and provides a practical and attractive space for the family to enjoy.